This morning we reported on a new retraction in Cell involving fraud from a lab in Finland, which led us to a second retraction of a paper by the same group in the Journal of Molecular Biology. The first author on both papers was Tatjana Degenhardt, who at the time was a graduate student in the lab of Carsten Carlberg, professor of biochemistry at the University of Kuopio. Call it bad luck, but the journal Cell has been victimized again by image manipulation. For the second time this month, the publication has retracted a paper whose authors acknowledged that one of them had played around with the figures. transcriptional cycling, i.e., periodic assembly of transcription factors and their cofactors and the resulting cyclical accumulation of mRNA, may stem from stochastic timing and sequential activation of transcription in individual cells. It’s a busy week at Science. The journal is retracting a controversial paper about which it had previously expressed doubts, and has published an “Expression of Concern” about another article that looks like it might be headed for the same fate. The move involves an October 2009 paper, on which we’ve previously posted, by European researchers who claimed to have made a major advance in the ability to watch how enzymes behave in cells — thereby giving scientists a new tool for monitoring the function of genes. The journal Cell has retracted a paper on fruit fly genetics over concerns that the first author, a postdoc in a German laboratory, might have manipulated dozens of electron micrographs in the manuscript. The article, published in November 2009, was titled “Assembly of Endogenous oskar mRNA Particles for Motor-Dependent Transport in the Drosophila Oocyte.” It has been cited six times since then, according to the Thomson Scientific Web of Knowledge. A leading German anesthesiologist with more than 200 papers to his name has been accused of misrepresenting critical aspects of a paper — possibly including the data itself — published late last year in the journal Anesthesia & Analgesia. In the blue corner: California researchers who reviewed trends in death rates among professional boxers. 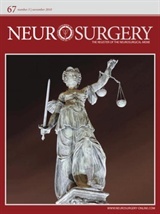 In the red (ink) corner: The editors of Neurosurgery, who misclassified the article, leading to an abbreviated version appearing in print. Last week’s big Retraction Watch news — which got us quoted in the New York Times — was a Nature paper by Amy Wagers and Shane Mayack. The now-retracted paper suggested that the aging of stem cells could be reversed, and Blood has issued a notice of concern about a second paper. Now comes news about another stem cell finding. The International Journal of Urology has retracted a 2009 paper by Japanese researchers who claimed to have used stem cells derived from fatty tissue to treat urinary incontinence in two men. The men had developed bladder problems after undergoing surgery to remove their cancerous prostates.